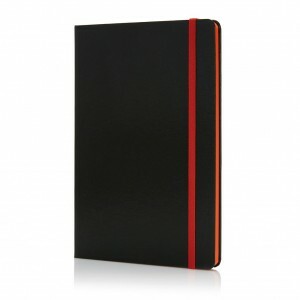 A5 size with elastic band and art paper for front back of cover, round corners, inner pages cream paper with black colour lines, 80g/m2 160 pages, matching page divider. 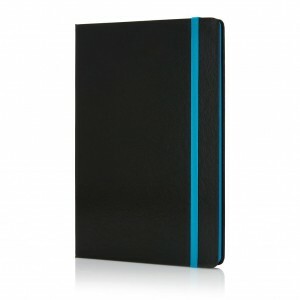 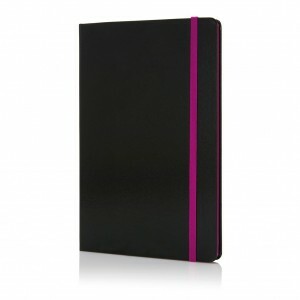 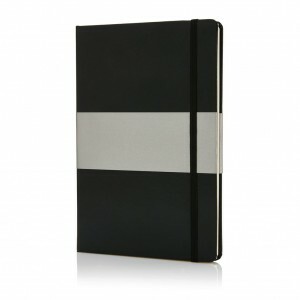 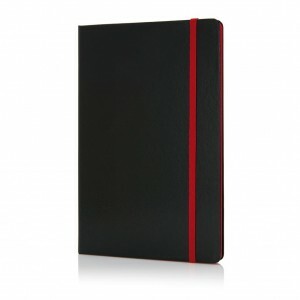 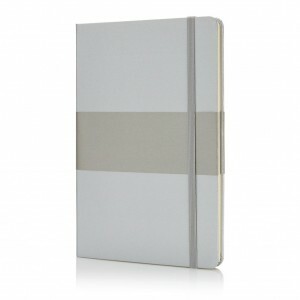 Fashionable hardcover notebook with 160 pages of 80g. 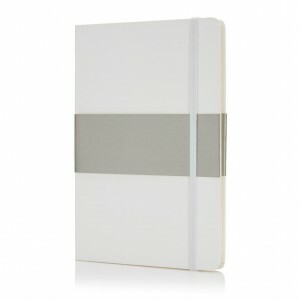 The side of the pages are matching with the elastic band.